How Do You Add and Subtract Matrices with Fractions and Decimals? Practicing with matrices can help you understand them better. 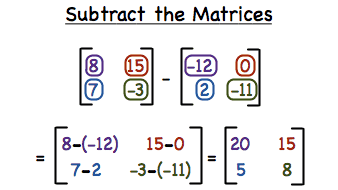 Follow along with this tutorial to get some practice adding and subtracting matrices! You even get to use decimals and fractions!